Oliver O'Mara was born on August 17, 1921, in Brooklyn, New York. He enlisted in the Aviation Cadet Program of the Army Air Forces on July 24, 1942, and was made a Flight Officer and awarded his pilot wings on November 3, 1943. O'Mara served in the Pacific Theater flying P-51 Mustangs, P-40 Warhawks, and P-47 Thunderbolts on Saipan and Iwo Jima, from December 1943 to September 1945. He flew 32 combat missions in the Pacific and went into the Air Force Reserve after the war. Lt O'Mara was recalled to active duty on March 14, 1953, and then went through helicopter training. He flew as a rescue pilot in Korea from May 1954 to May 1955. O'Mara next served at Foster AFB, Texas, and then at Stead AFB, Nevada, from August 1958 to May 1960. From May 1960 to June 1963, O'Mara served at Yokota AB, Japan. He was then transferred to Hamilton AFB, California, where he served until January 1965, when he was stationed at Orlando AFB, Florida. Maj O'Mara began flying combat missions in Southeast Asia in July 1966, when he was stationed with the 38th Aerospace Rescue and Recovery Squadron at DaNang AB in the Republic of Vietnam. He transferred with the squadron to Udorn Royal Thai AFB, Thailand, in November 1966, and left Southeast Asia in June 1967, after having flown 128 combat missions and rescuing 8 downed pilots. 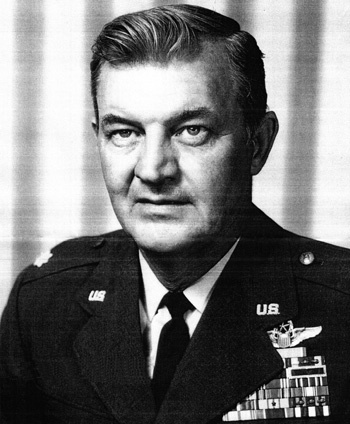 He was next assigned to the Directorate of Aircraft and Missile Test at Holloman AFB, New Mexico, where he served from June 1967 until his retirement from the Air Force on September 1, 1970. Oliver O'Mara married Ruth Slater on October 3, 1945, and they had two daughters, Peggy and Susan. LtCol Oliver O'Mara died on July 1, 2008. The President of the United States takes pleasure in presenting the Air Force Cross to Oliver E. O'Mara, Lieutenant Colonel, U.S. Air Force, for extraordinary heroism in connection with military operations against an opposing armed force while serving with the 38th Aerospace Rescue and Recovery Squadron, DaNang Air Base, Vietnam, SEVENTH Air Force, in action in Southeast Asia on 5 October 1966. On that date, Captain O'Mara, flying an HH-3E rescue helicopter as Rescue Commander, voluntarily flew into a known area of intense hostile activity in an effort to rescue a downed American pilot. While under intense small arms and heavy automatic weapons fire, during which his rescue aircraft received numerous hits, he made repeated attempts to reach the downed airman. 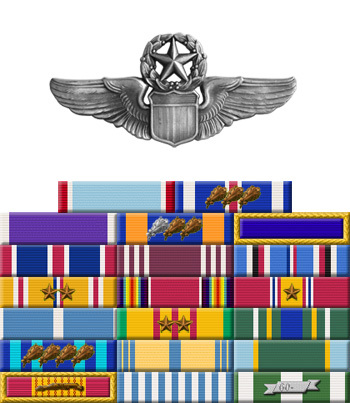 Only after his aircraft received extensive damage which rendered it incapable of rescue operations, did he withdraw from the area; however, he then directed another helicopter to the site for a successful pickup, Through his extraordinary heroism, superb airmanship, and aggressiveness in the face of the opposing force, Captain O'Mara reflected the highest credit upon himself and the United States Air Force.